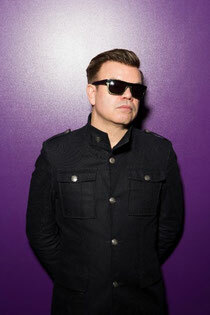 For over three decades Paul Oakenfold has elevated and shaped an entire genre and remains one of the leading forces in the global music scene. This week the 3 x Grammy nominated producer/DJ received the Creative Fusion Award at the 2014 BritWeek UKTI Business Innovation Awards in Los Angeles for his contributions to the music scene, which have had a major impact in the UK and US and further helped bridge the creative divide between the two nations. The 5th Annual Business Innovation Awards, presented by Virgin Atlantic, will be celebrating and giving out awards for outstanding achievement & innovation in: Technology, Social Impact, Product Design & Business Services. The previous winner of the BritWeek award given to Paul was media and music mogul Simon Cowell back in 2011. Paul’s services to the music industry include him being one of the pioneers of the electronic scene as a DJ, and promoter, to producing records, mix compilations and soundtracks for Hollywood blockbuster movies.